Home » General News » Don’t be fooled by the competition! Don’t be fooled by the competition! Don’t be fooled by the competition! Get TV without the additional cost of a set top box for EVERY SINGLE TV! Get up to 45 channels without a Set Top Box and 99 channels if your TV has a QAM tuner! Don’t miss your favorites like Hallmark Channel, Animal Planet, Nat Geo, Hallmark Movies and Mysteries, ID, Game Show Network and more, all without a Set Top Box.  Remember TSC gives you the first Set Top Box FREE with a bundle for even more channels! TSC replays local church services weekly on Sunday morning and Monday evening for our shut-ins. Catch all of the local happenings in the area on TSC’s Channel 2! THANK YOU for 20 years of great Cable TV in Wapakoneta and Cridersville. We thank you for your support! Previous: The Gigahood is coming to Waynesfield!